Asterix in Scots A World First For Itchy Coo! 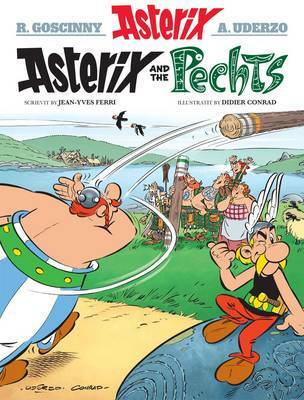 The 35th Asterix Album, Asterix and the Picts, has now been announced and Itchy Coo is proud to present, for the very first time, a Scots language edition which will be published simultaneously with all other editions on 24th October 2013. And, with Asterix coming to Scotland, the timing of the very first Asterix in Scots couldn't be better! As everyone knows, Asterix lives in an ancient French village and he and his fellow inhabitants are the last to resist the Roman occupation thanks to the superhuman strength they get from a magic potion brewed by their druid. Now Asterix and his friend Obelix set out on an epic journey to a land rich in tradition and find that the Scottish tribes have troubles of their own. Can Asterix help, and how will this eagerly awaited story unfold? This brand new Asterix story, told in Scots for the first time, brings our hero to a whole new audience and will be a story to savour.